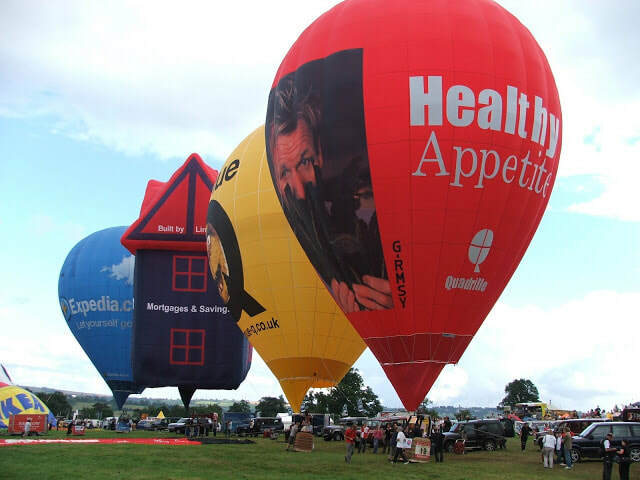 The Bristol Balloon Fiesta 2008 marked the 30th anniversary since Don Cameron started the event in 1979 from the bowl. 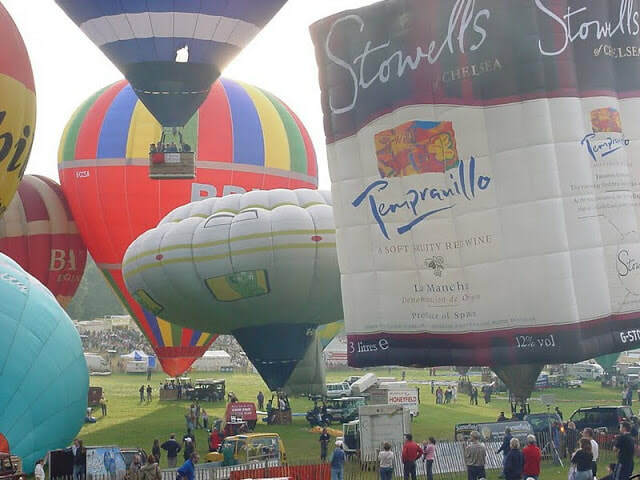 As always, due to start at Thursday lunchtime, the day before a brief news inflation took place from the fiesta field with Wiseman Dairies, Expedia and Complete balloons cold inflating. 2008 was the final year to be sponsored by the Discovery Channel. Thursday arrived and the official fiesta had begun. 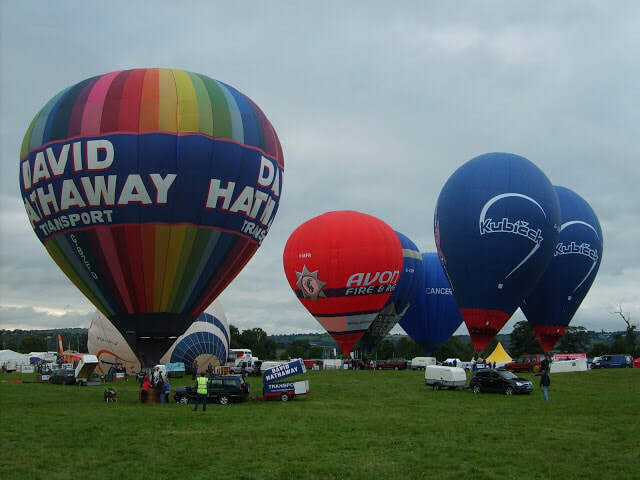 As spectators arrived for an afternoon of hot air ballooning action, conditions could have been a lot worse, but the potential problem was the wind a little later. Tethering began at around 1pm in time for the lunchtime news coverage. 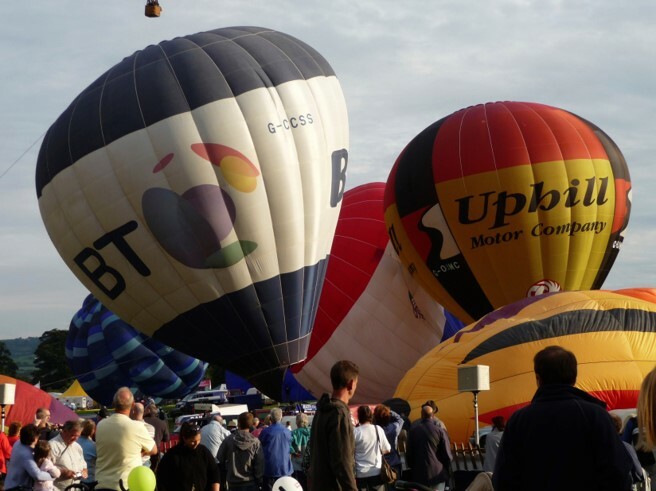 New Holland, Sloggi, Nokia, Avon Fire & Rescue and Discovery Channel were amongst the branded balloons taking advantage of the TV cameras. Sadly, the wind picked up and was beyond operating limits for free flying. Special shapes require particularly light winds to fly, typically around 5kts or less, but some rounder shapes are rated to as much as 15kts. However, this did not stop a good display of tethering. 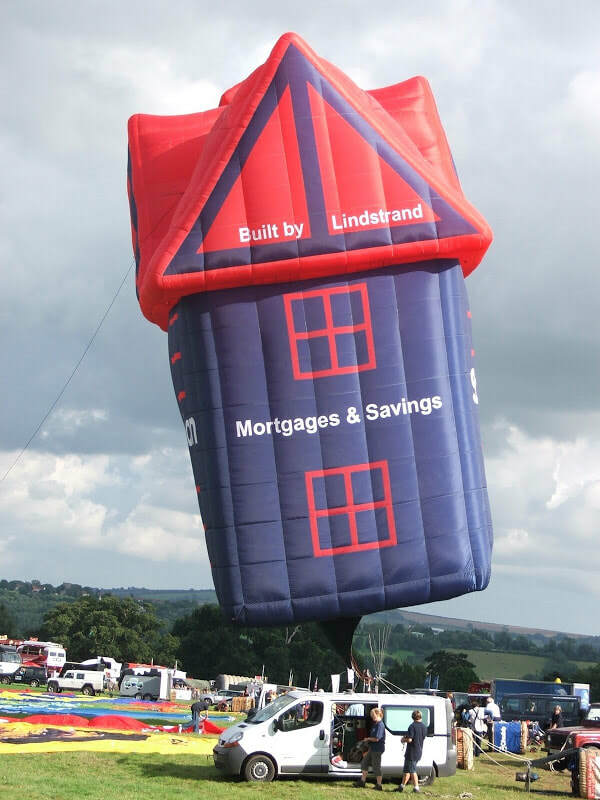 Lindstrand’s Stroud & Swindon house, which was built in 2006, inflated for the crowd. 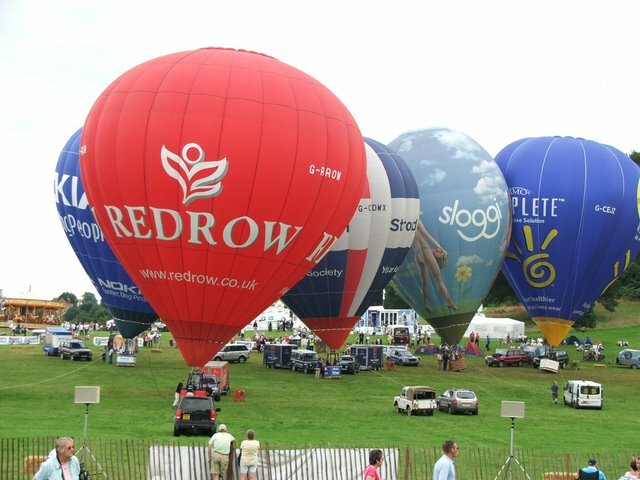 2008 would be the final year of this contract running - the balloon was put into storage soon after the 2008 fiesta came to a close. Shortly after Expedia and two brand new racers joined the house, a Cameron TR-70 G-RMSY and Lindstrand 60X G-CFIK. 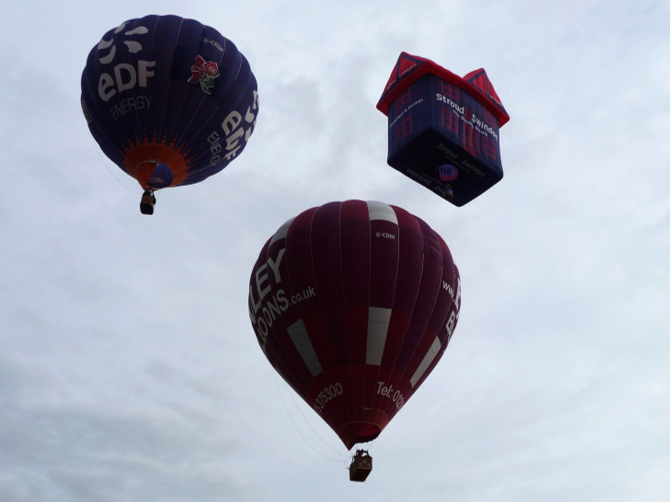 ​First Flight decided to get their new Z-210 out the bag for a tether, sponsored by House of Fraser to promote their new store opening in Cabot Circus. 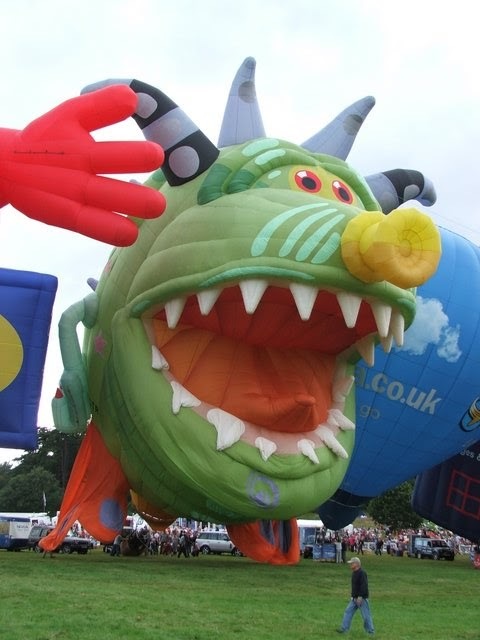 The Airship & Balloon Company (ABC) were once again attending with the popular monster special shape, which had become a Bristol classic. 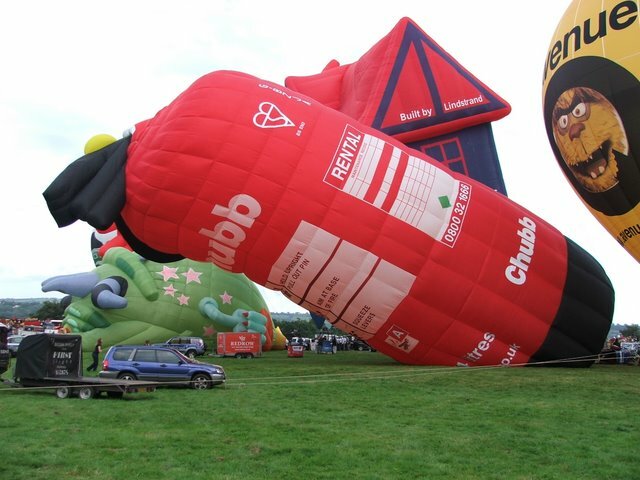 Sadly, this was the final year that the Chubb and IKEA contracts ran, and did not appear after the 2008 fiesta. You can see in our gallery section that ride teams were on the field, but the gusts did not stop. 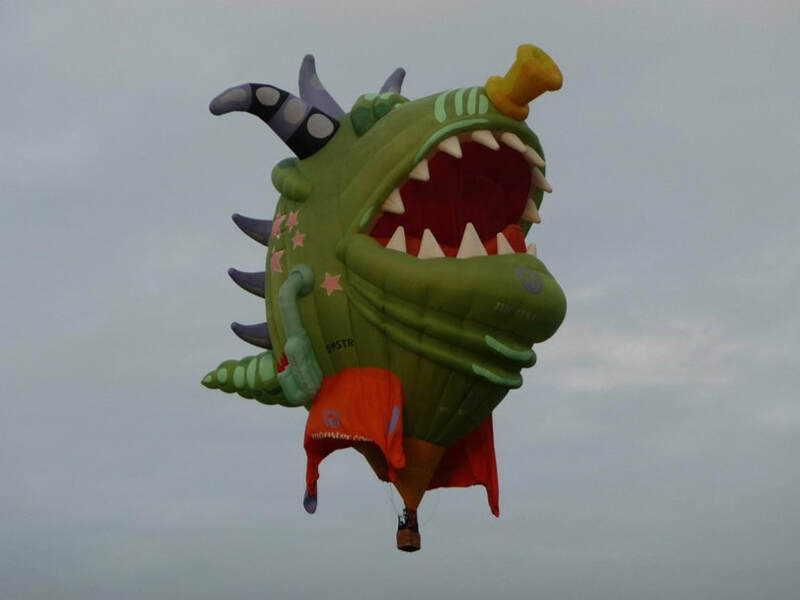 ​The first balloon glow of 2008 went ahead with no problems. 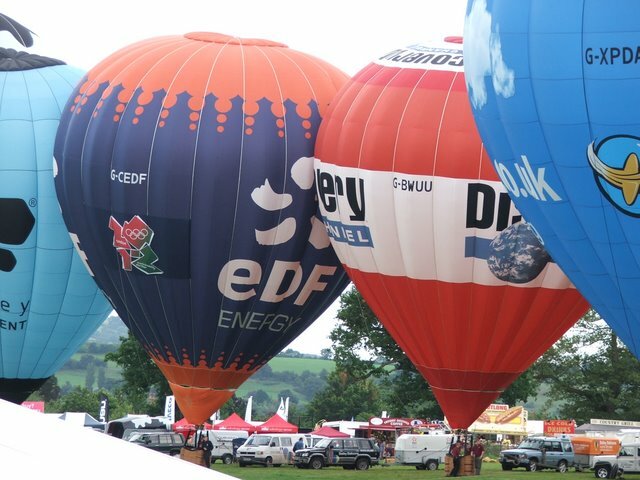 Twenty-five pilots lit up their balloons to wow onlookers around Ashton Court, finished with a firework display. 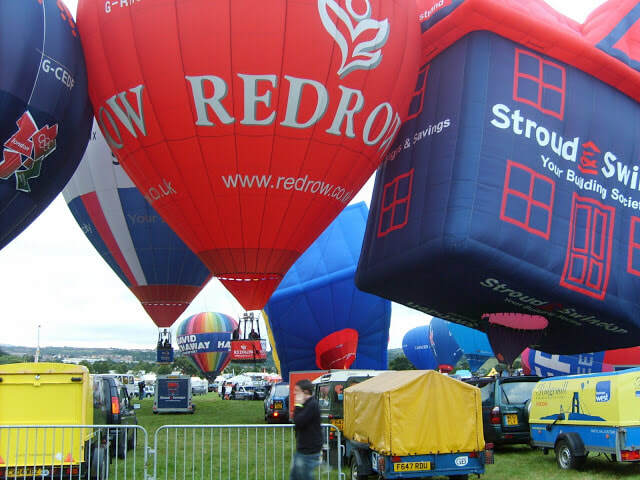 ​It was still too windy for balloons to take off on Friday morning, but there was a huge tethering display including IKEA and Stroud & Swindon special shapes. Also appearing were Epson, David Hathaway, Vodka Kick, G-CBWK, Vital resources and two Kubicek racers. 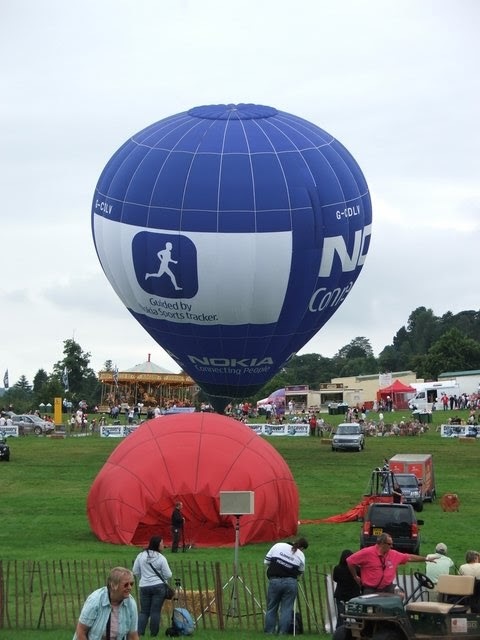 Racers are a longer teardrop shape compared to a regular 105 hot air balloon, designed for competition flying, and enable pilots to gain height more easily. Tiny 17A Thunder & Colt envelope G-HEXE was hot inflated at the end. ​Things were looking good for the first mass ascent of 2008 on Friday night and the crowds were building nicely with everyone looking forward to the weekend. Entertained by helicopters and parachutists throughout the afternoon, at 6pm it was time for the briefing. It was great news! The launch was confirmed. 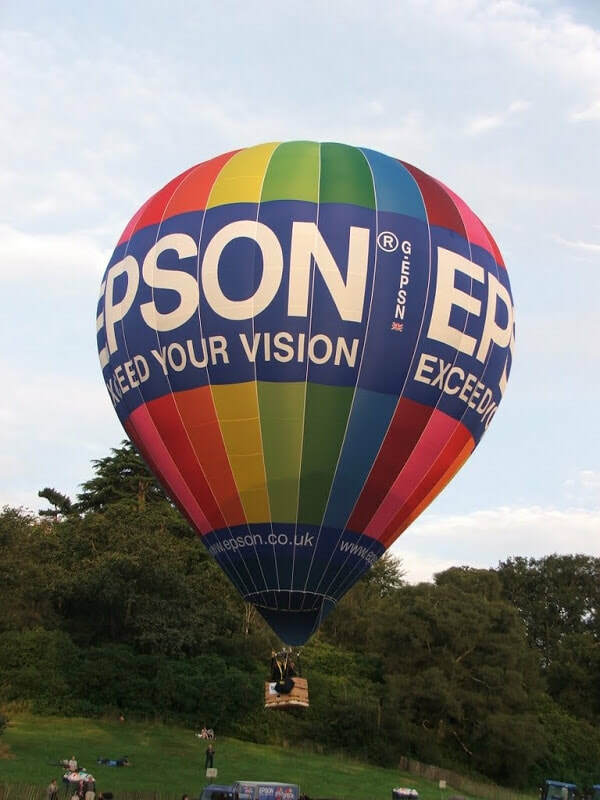 House of Fraser and G-RMSY were first to ascend, with Epson, Cameron Balloons, Silverline, Bailey Balloons and the Stroud & Swindon shape closely following them. 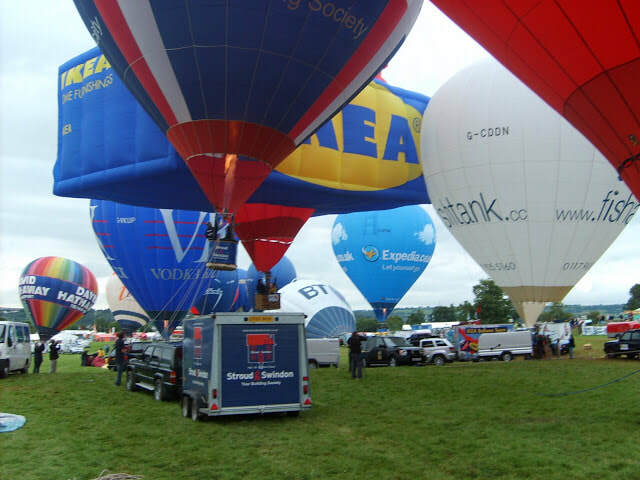 It was a very busy arena with all different kinds of balloons popping up every minute. 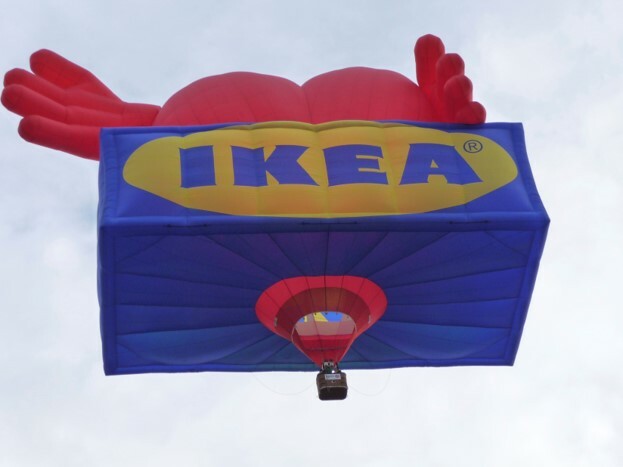 Phoenix Balloons flew their IKEA special shape while the French Cockerel team inflated, returning to Bristol after missing 2007. Perhaps the bad weather of 2006 put them off! 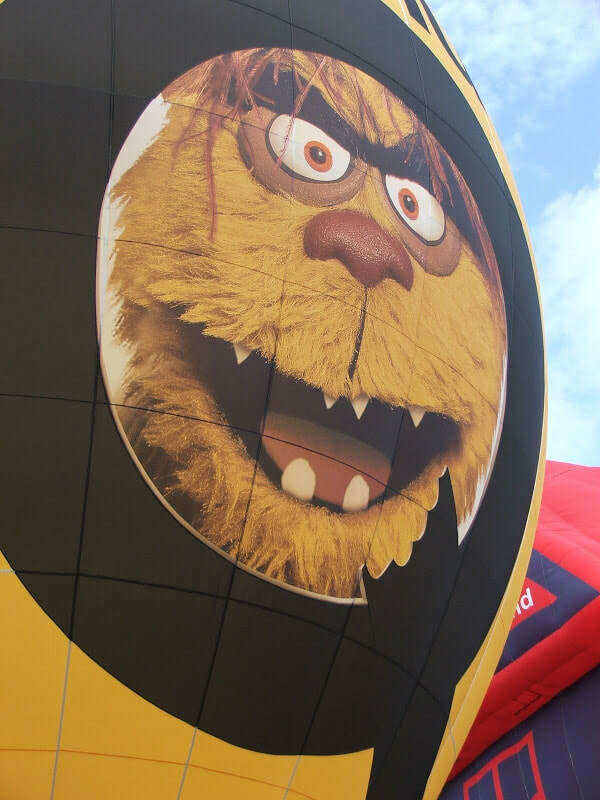 ​In 2008 the British Balloon Museum & Library (BBM&L) attended for the first time since 2002, when they brought Mr Peanut. This time they opted to bring G-PINT to the 30th anniversary, a beer barrel special shape. It was built by Cameron’s in 1982 and now advertises the museum, along with G-PUTT. 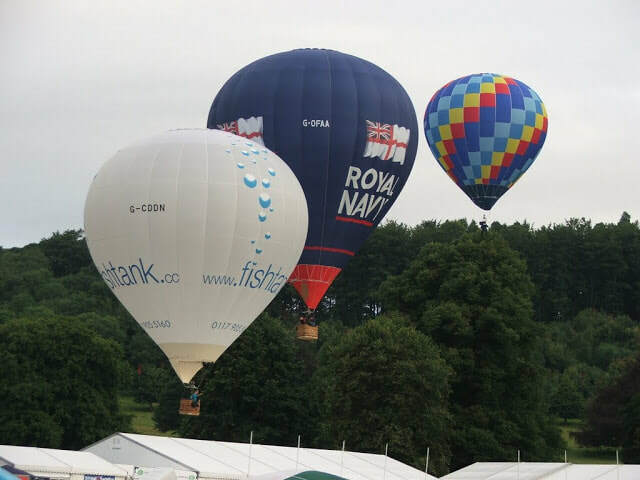 This is the only time ever that the BBM&L have flown from the fiesta. 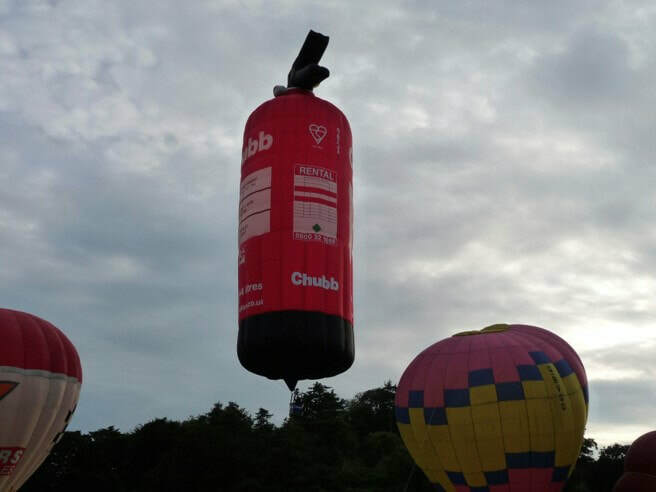 Chubb also took off, which is one of three fire extinguisher special shapes, each varying in detail as technology progressed. 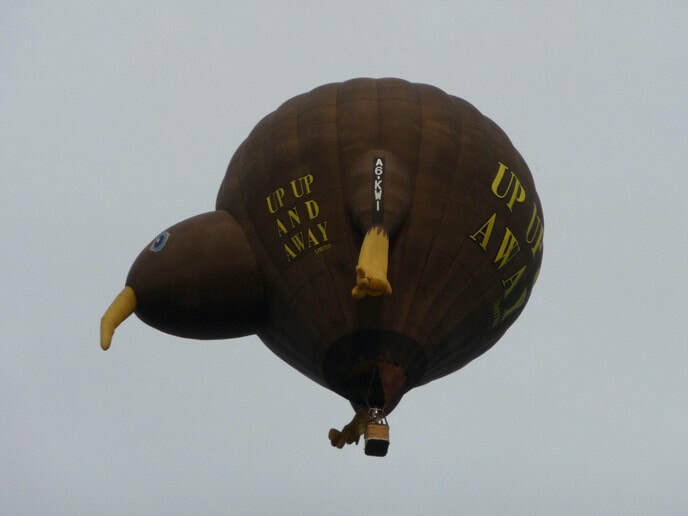 ​The kiwi bird, registered A6-KWI was back for another year too, but this would be its final flight from the Bristol Balloon Fiesta. ABC’s Monster was now in its ninth year and was looking quite old with the feet noticeably floppier than 12 months before. Pollywallets was also back for the 30th anniversary, still in excellent condition with a CofA to last many more years. It was at the very first fiesta in 1979! ​Muir Moffat’s Scottish Piper was half inflated from photos but we’re unsure if this stood up or not. 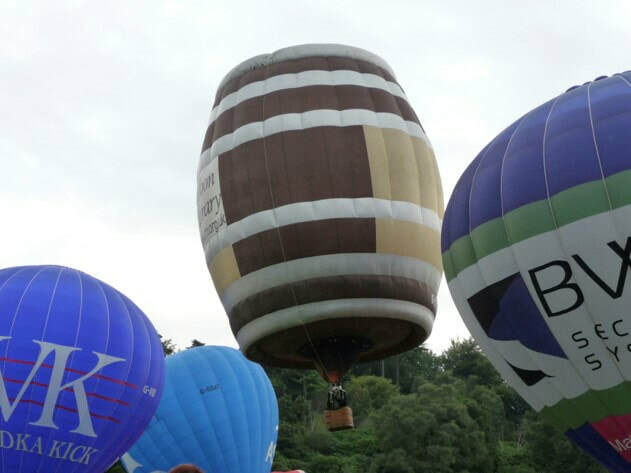 ​Similar conditions greeted balloon teams and public at sunrise on Saturday. 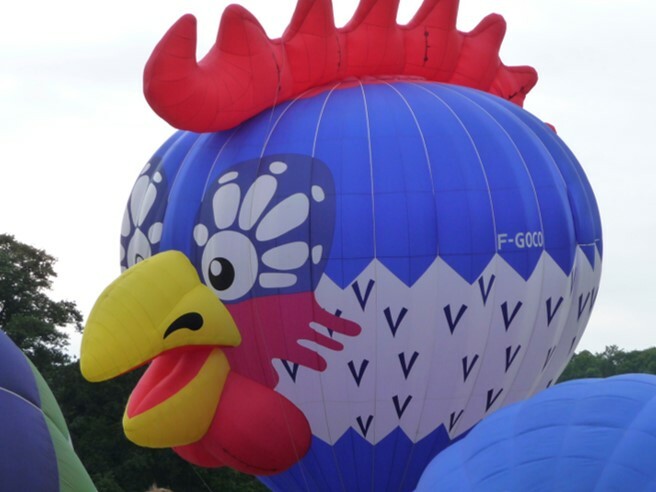 The Cockerel and ABC’s Monster were the only special shapes to fly. 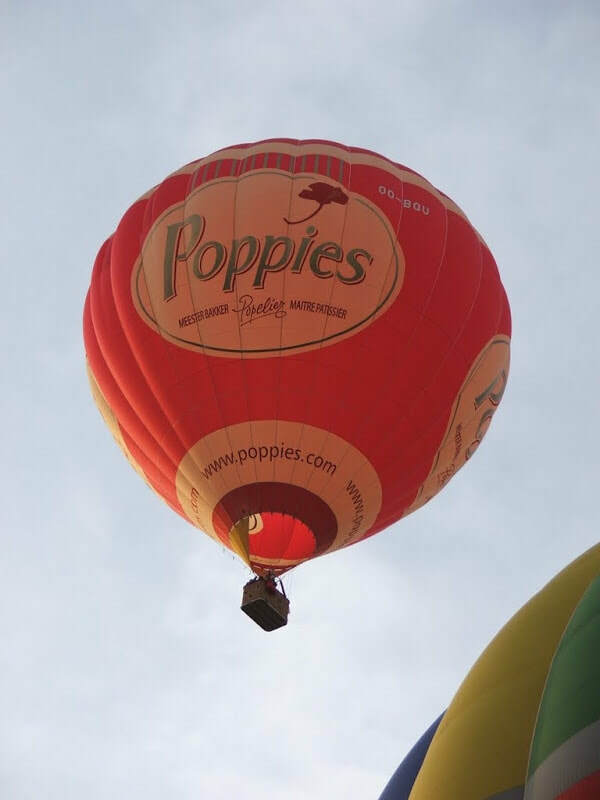 Some interesting round balloons appeared too, including Poppies OO-BQU, G-LEXI, Greiner packaging from Holland, G-BVBG, and the G-RIME hopper and Barclays that remained tethered. 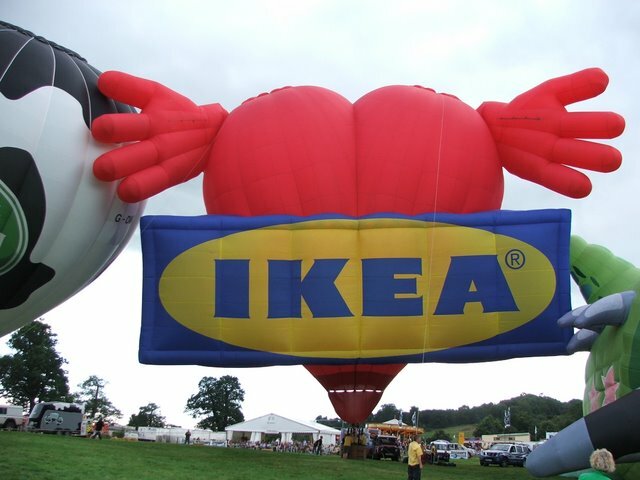 Chubb and IKEA’s operators preferred to fly their rounds this morning and keep the shapes in the trailer. The 2008 fiesta then took a turn for the worse with some very bad weather coming in at the wrong time. 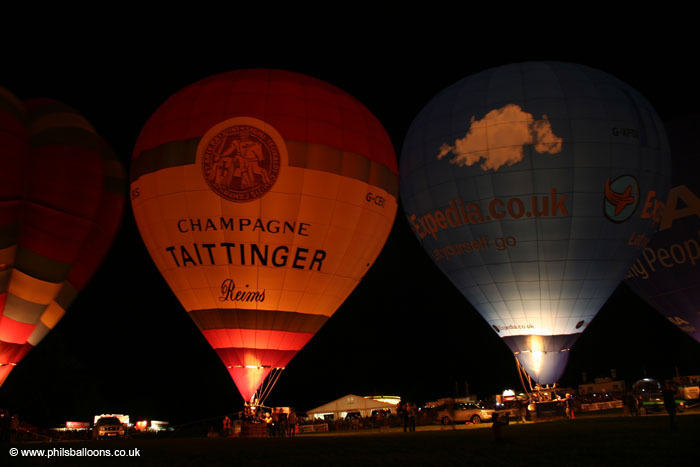 All balloon activities after Saturday morning were cancelled; even the night glow. 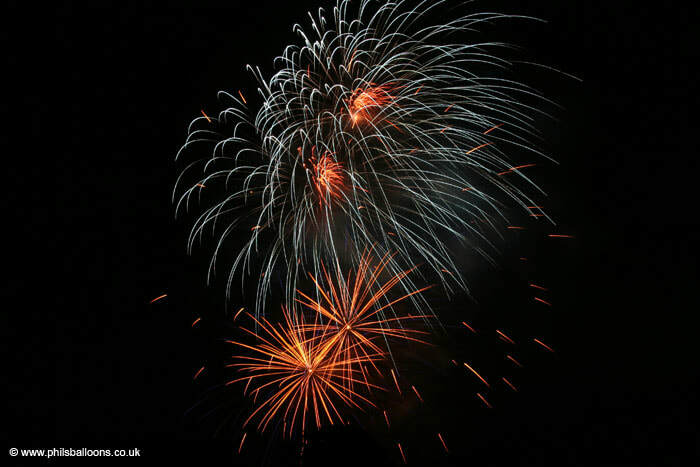 ​If you would like to read more of our fiesta reviews from 2004 to 2018, click here.